HAPPY HALLOWEEN! Regular readers of Balladeer’s Blog are very familiar with my Bad Movie page where I examine plenty of under the radar movies that are hilariously awful. Last Halloween season I ran a list of the top Eleven Neglected Bad Movie Classics for Halloween. That tradition continues this year with a list of eleven more neglected bombs. As with last year’s list my Bad Movie page features full-length reviews of each of the movies I’m offering a synopsis of here. 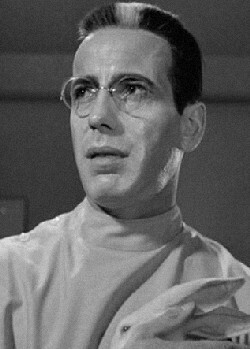 THE RETURN OF DR X (1939) – The notorious film in which the legendary Humphrey Bogart played a zombified mad scientist named Dr Xavier who was brought back from the dead by another mad scientist named Dr Flegg. Much of the fun comes from Bogie’s unmistakable disdain for finding himself in the kind of stinker that Bela Lugosi often waded through. Bogie’s Dr X kills bunny rabbits, surgically drains blood from the hearts of living humans and experiments on babies in a movie desperately searching for a decent script and a likeable character. Happy Halloween from Balladeer’s Blog! Recently I reviewed the neglected 1890’s horror stories The King in Yellow and The Great God Pan, two excellent pieces of Halloween reading. This time around I’ll examine The Squaw Hollow Sensation, originally published in serialized form in the California newspaper The Mountain Democrat from May 31st to July 26th, 1879. The story was set in Squaw Hollow, California, near Placerville in present-day El Dorado County. In fact the El Dorado County Historical Museum was where I obtained my copy of the story for this review. Our main character is Berlin’s Doctor Loerder Von Herbst, a man trying to prove that ancient Egyptians migrated across the Atlantic Ocean and that the Aztecs were really a colony of Egypt. His studies have led him throughout the American West, northern Mexico and part of California, wherever he believes the legendary region of ancient Aztlan to have been. 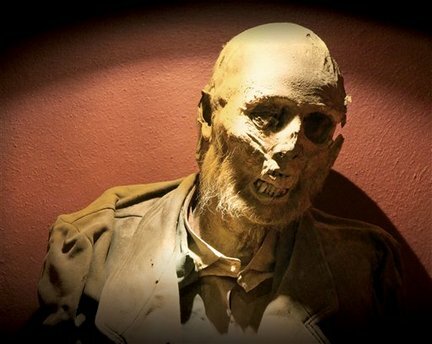 Von Herbst theorizes that the preserved figures called Aztec Mummies are not corpses but rather living beings who were put into a centuries-long sleep and can be revived. The good doctor has created a special chemical solution that in experiments has restored body parts from dissected corpses to a condition resembling living tissue. He believes he can use this chemical solution as part of a procedure to bring an Aztec Mummy back to life. Ancient papyri refer to “Heaven’s fire” and Dr Von Herbst is convinced that means lightning and so he plans to use electricity generated from a Daniell’s Battery to aid in the resuscitation process. HAPPY HALLOWEEN! Here is the 3rd and final part of Balladeer’s Blog’s examination of the best silent horror films, from short subjects to feature length. With the hurricane nonsense going on right now this may be the last post I’m able to make between now and Halloween on Wednesday. 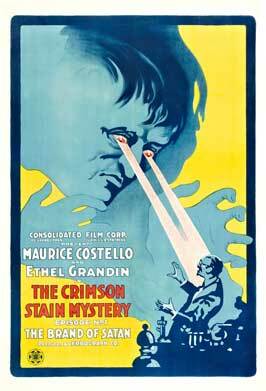 THE CRIMSON STAIN MYSTERY (1916) – This was a 16 chapter silent serial that contained multiple horrific elements. The fact that it is so little remembered these days makes it perfect for this list, given Balladeer’s Blog’s overall theme. A mad scientist calling himself the Crimson Stain experiments on human guinea pigs in an attempt to create an intellectually superior race. His experiments all fail, producing hideous, mutated monsters. The Crimson Stain organizes his misbegotten menagerie into a villainous organization and wages a campaign of terror on the world at large. A heroic detective leads the opposition against them and tries to learn the identity of the Crimson Stain. Chapters in this serial boasted wonderfully campy titles like The Brand of Satan, The Devil’s Symphony, Despoiling Brutes and The Human Tiger. THE MAN WITHOUT A SOUL (1916) – A man returns from the dead bereft of any trace of morality or humanity. He now views the people around him as victims and prey. SAGU RULES THE WORLD – As pointed out here at Balladeer’s Blog, each week of every college football season seems to find at least one NAIA football team upsetting a team from NCAA Division 2. For newbies to these divisions that’s like a 1AA (FCS) team upsetting a 1A (FBS) team. Yesterday the NAIA’s SOUTHWEST ASSEMBLIES OF GOD UNIVERSITY LIONS kept that tradition alive by toppling D2’s PANHANDLE STATE AGGIES. In this Instant Classic the Lions emerged with a 28-27 win in Overtime. NUMBER FIVE TAKES A FALL – The 5th ranked team in NCAA Division 2 football was upset in yesterday’s action. The number 13 SHIPPENSBURG UNIVERSITY RED RAIDERS hosted their conference rivals the (5) BLOOMSBURG HUSKIES. In an epic gridiron struggle that the attendees will be telling their grandchildren about the conclusion of the game saw the Red Raiders come out on top by a final score of 49-42. SKYHAWKS MAKE HISTORY – The NAIA’s POINT UNIVERSITY SKYHAWKS (helmet at left), are in their very first year of playing intercollegiate football. This weekend saw the Skyhawks notch their program’s first win. Point University hosted the NEWPORT NEWS APPRENTICE SCHOOL BUILDERS and completely dismantled them in a 48-14 laugher. Congratulations to the Skyhawks (how can you not love that name) for this milestone accomplishment. TOP 25 UPSETS – NAIA – The number 19 SOUTHERN OREGON UNIVERSITY RAIDERS (helmet at left) defeated the visiting 6th ranked CC FIGHTING SAINTS, the most famous gridiron dynasty in NAIA history, in a 52-49 game for the ages. ### The unranked DOANE TIGERS brought down the number 18 team, the HASTINGS BRONCOS, in a dominant 48-16 homestand. ### … And the 20th ranked CUMBERLAND UNIVERSITY BULLDOGS fell on the road to the BAKER WILDCATS in a 32-30 nailbiter. Last week Balladeer’s Blog examined the greatest silent horror film shorts from 1896 to 1909. This time around I’m presenting even more Halloween season fun with a look at early cinema’s horror treats from 1910 to 1915. 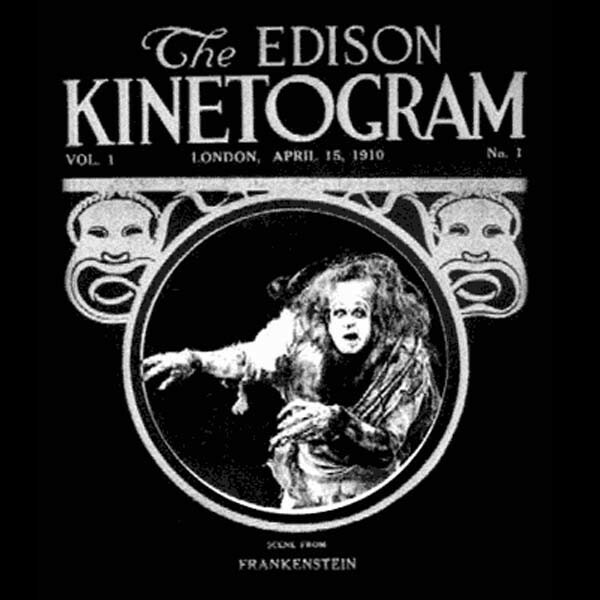 FRANKENSTEIN (1910) – The Edison Company’s 1910 version of the Mary Shelley classic ran just 16 minutes and featured a very unique creation scene. In a high-tech chamber Dr Frankenstein caused organs and body parts to form around, and attach themselves to, a skeleton. The monster slowly took shape as the anatomy was filled in around the skeletal frame, like Freddy Kreueger when revived in A Nightmare on Elm Street 4 or the creepy guy in the first Hellraiser movie. This flick ended with the Frankenstein Monster (Charles Ogle) being killed by catching sight of its own reflection in the mirror. THE BRIDE OF THE HAUNTED CASTLE (1910) – A woman is sealed in a haunted castle to be the bride of a living skeleton. 15 minutes long. THE DETACHABLE MAN (1910) – This 7 minute Pathe film features a man with the macabre ability to detach and reattach his various limbs… No, I don’t know if he could detach that, too. MUSEUM SPOOKS (1910) – At night in a creepy museum the figures in the paintings emerge from their frames and cavort around the halls until sunup. 6 minutes in length.